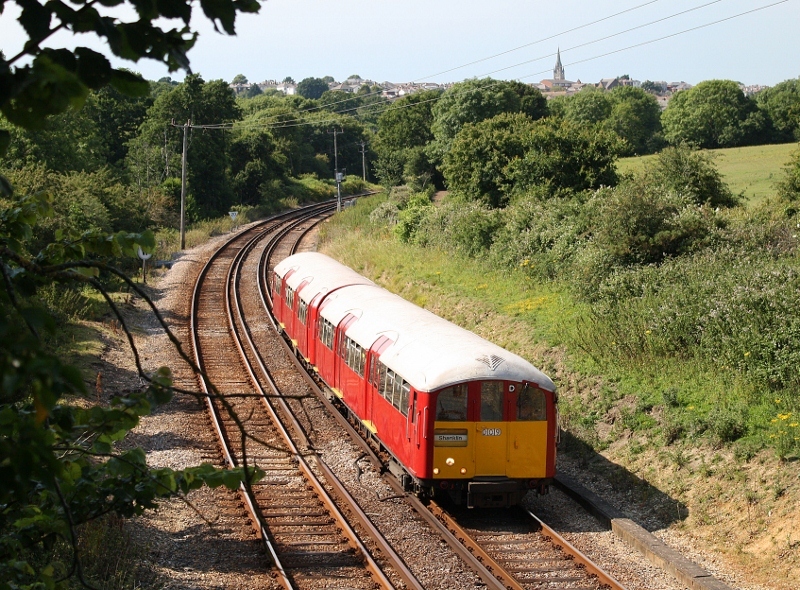 Martyn Hilbert's Railway Photography - Isle of Wight - 483009 at Smallbrook Lane. Having left Ryde behind, 483009 speeds along the double track section to Smallbrook Junction with the 16.07 Ryde Pier Head to Shanklin Service on the 3rd July 2011. The unit is about to pass under the road bridge at Smallbrook Lane.